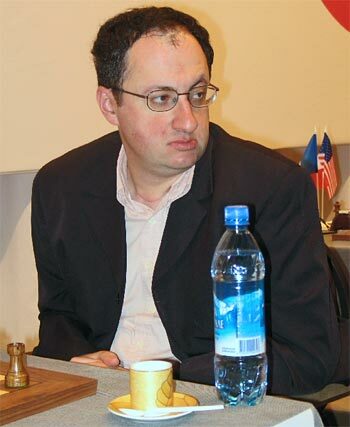 The snappiest dressed chess player I ever saw was Ivan Sokolov. Each day in the Staunton Memorial saw a different, dapper outfit. Thomas Rendle now about 20 and an IM used to turn up to chess tournaments until he was about 14 wearing a bow-tie. I think a little showmanship is a nice touch in chess, and sometimes it helps to dress up. When I beat Philip Gregory last year in our adjournment that saved the First Team from relegation, I wore a suit jacket! I told myself it meant I was in *assassin mode*, meaning business, and I guess it worked. I once saw a Grandmaster buying a jacket in Oxfam in Earl's Court Road - it looked pretty smart though. I saw Ian Rogers walking along Oxford Street when I was last in London. "Hello Ian", I cried. I have no reason to think he knew who I was. I take it number 2 will be Speelman and 3 Mestel?